Enter your wine for competition at the Club’s Jubilee! Only one 750 ml bottle is required and the first bottle is free. May 7 is the last day to enter. Call ahead and make delivery arrangements. For the Sacramento area, text / call Competition Coordinator Donna Bettencourt at 916 548-3199. Text / call Cellar Master Joe Morgan at 916439-7205 in Citrus Heights. And in the Auburn area, contact Thad Rodgers at 916 715-3688. Click here for the Jubilee’s details. The Robert Mondavi Food and Wine Institute at UC Davis sponsors forums on food and wine sciences. 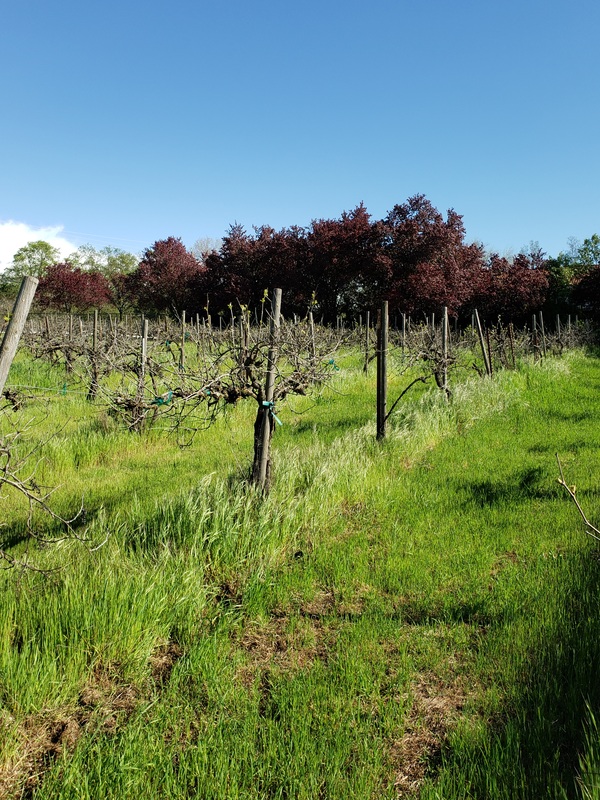 On Tuesday May 14, 2019, the forum topic is “A Winemaker’s Perspective on Genetic Diversity” featuring a joint lecture delivered by Elisabeth Forrestel, a National Science Postdoctoral Fellow in Biology in the Department of Viticulture and Enology at UC Davis, and Steve Matthiasson, owner of Matthiasson Wines will deliver the joint lecture. 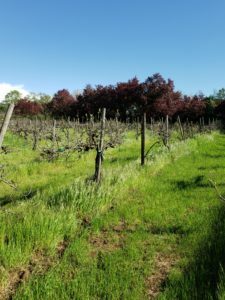 Preceding the lecture is an optional tour of the Wolfskill Experimental Orchard home to the world’s most genetically diverse grape collection. Details here. Scott Harvey has for sale: Zinfandel, Barbera, Syrah, Petite Sirah and Tempranillo. $1 per pound for crushed de-stemmed must. Directly contact Scott Harvey at scott@scottharveywines.com. David Hicks still has room for several more couples at his 5th edition of his Lake County Wine Weekend and tour on July 12/14th. David will be at the meeting Wednesday to describe the event to everyone and take sign ups. Read the entire description of this fun filled wine adventure: AN INVITATION TO WINEMAKERS AND GUESTS OF. SHW Chief Judge Donna Bettencourt advises that Lodi lab and Amador 360 are drop off locations for this competition. Alameda County Homemade Wine Competition entries open Friday, April 12th thru Friday, April 26th. Wine must be entered and delivered to a drop spot by Friday, April 26th unless you are delivering your wine to the fairgrounds on Saturday, May 4th from 10 am-noon in building Q. If delivering your wine, it must be entered online by April 26th. Link to this catalog that shows you the wine categories and any other information you may need. The logo that shows says “The Spirit of Summer”. Please do not enter the Alameda County Wine Competition on Enofileonline. This is for Commercial wineries only. As a reminder, when entering your wines it may ask for information you do not have such as a winery name, price of wine, or % of residual sugar. You can put in a 0 for the areas that ask for a number. If you make up a winery name, be sure to remember the exact name so that you can easily sign in next year. If you have entered through Enofileonline before, your winery/brand information will still be there. Drop Spots are listed on the attached catalog as well. If you’re bringing your California State Fair home wine entries to Wednesday’s meeting, Chief Judge Donna Bettencourt reminds entrants that on-line registration and fees must be completed and bottles appropriately labeled before Cellar Master Joe Morgan and Thad Rodgers can accept your entries. Meet Joe and Thad in the Turn Verein back parking lot starting at 6:30 pm. Cellar Master Joe will also be accepting Jubilee entries in the parking lot and upstairs at the meeting. Please seek out Niles Fleege at the meeting with your El Dorado County Fair home wine entries. Are you wondering if your wines have completed their malo-lactic conversion? Spring is a good time to check for MLF progress especially with your 2018s. In addition to testing for MLF, resident chemist Bruce Currie performs others wine analysis for members for a nominal fee. Bring your wine samples to Wednesday’s meeting with this completed form. Outfit you and your crew in style during crush! Bring your 2019 SHW Crush T-Shirt order form to the meeting and look for Treasurer Bob Peake. The April 17 meeting is Red Wine Roundtable discussion. Come with a bottle of your red wine along with your wine glass and let’s taste and talk about your wine. Meeting starts at 7pm upstairs at the Turn Verein located a 3349 J Street in midtown Sacramento. This vineyard is maybe 10 years old, Zinfandel and Chardonnay (over 100 vines) and some eating grapes. Available to take care of and have all grapes (owners don’t drink). Vineyard has not been cared for in maybe 5 years. 1/2 mile from Hwy 80 off Horseshoe Bar Road. Loomis California, within a half mile of freeway 80 on Horseshoe Bar Rd. Bottle racks are fixed to concrete wall, buyer would have to remove them from that (very well made though see pics) Best offer. Best offer on 1.5 ton bin and other items pictured and more. Is winemaking art or science? 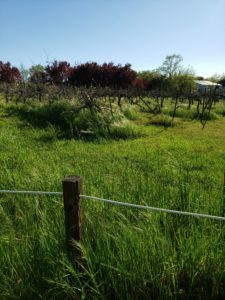 Do we have a responsibility to preserve ancient winemaking practices, native varieties, and vineyards and wines known for their distinctive flavors? The Klenz Wine Business Speakers series features an evening with vintner, physician and author Laura Catena, founder of the Catena Institute of Wine in Argentina and whose family has been making wine in Argentina for over one hundred years. This event is part of the Wine Klenz Wine Business Speakers series, which brings leading figures in the domestic and international wine business to the Robert Mondavi Institute for evenings of talks, insights, and unique perspectives about the wine industry. Bud break and competition time are here–both are well underway and it is an exciting time to be a home winemaker! We have a lot of news in this edition of our newsletter, The Grapevine. Mark your calendars and turn in your reservation form to join us for the annual June Jubilee picnic on June 2nd. Also in the newsletter are details about how you can sign up to help at the CA State Fair and information about the Ethiopian Food and Wine event on Sunday, April 28th (make sure to RSVP for this right away if you are interested as seating is limited). For more details about the April 17th meeting, see the front page of The Grapevine newsletter.